My Name Is Anand Saraswat, Basically, I'm from Mathura now I'm staying Sector 66 Near By Mamura choke. Comming to my education details. I Am pursuing BA Final Year From Agra university. I have done my 10th and 12th in 2011 From UP board. Comming to my experience details. 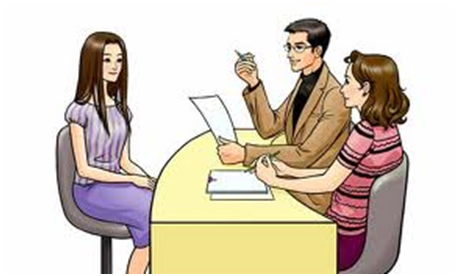 As per my Experience, I have 2-year and 3-month experience in Bpo call center Pvt Ltd as an agent. Comming to my family details. My father name is Narendra kumar he is a Doctor.and My mother name is Shashi Devi she is a housewife.and I have Two elder brother He is working pvt Ltd.
My strength is politeness, confidence and my positive attitude. My weakness I am emotional.and As per my hobby I like to driving and listing song. and My goal is I become a good position in my life. Firstly I would like to thank you for giving me this opportunity and it's my pleasure to introduce myself. I'm chitti babu from Nalgonda. I have completed my B. TECH in Mechanical Engineering from Kommuri Pratap Reddy Engineering college with an aggregate of 66%. I completed my intermediate from Sri gowathami junior college with 63%. I have done my schooling from Z.P.H.S. Bakkalwadi High School from Miryalaguda with 72%. Telling me about my family background my father is former and my mother is a housewife. We are two siblings my elder brother is working on goods services and my younger brother are working mobile technician. And coming to my hobbies are playing cricket, listening music and reading books. My strength is I can adapt easily in any type of environment and be positive. My weakness is dealing with any problems are any situations. My short-term goal is to get placed in a reputed company like yours which, will give me an opportunity to change my skills and knowledge. My long-term goal is I want to be one of the reasons for the success of the organisation's growth. That's all about me sir, thank you for giving such a wonderful opportunity. I would like to thank you so much for giving me an opportunity to introduce myself. My name is Kudla. I was born and brought from Kudla itself coming to my academic year I persued my MBA and waiting for the results. I also have an experience as a senior executive from past 3 years. We are 4 members in a family. My father is working as a divisional branch manager. Mom is a state govt official. And my sibling is pursuing merchant navy. My long-term goals are to be in higher position on the same company. My strength are multi-tasking creative active participant. My hobbies reading books, music. First of all, thanks for giving me this opportunity to introduce myself. My name is Sapna. I Belong to Sikohabad but Now days reside at Subash Nagar Ghookna Ghaziabad. I have Completed MBA steam in HR and Finance From UPTU University in 2015. And B. COM passed from CCS University in 2013 and 10th, 12th passed from UP Board. I have 2 years Experience as a Computer Operator in DTDC courier services. There are five members in our family including to me. My positive points (Strength) are I am hard worker, Quick learner, and towards to my career. My negative points (Weakness) are I am extravagant. My hobbies are Travelling and listening music. My ambition is to be a HR. Thanks for providing such golden opportunity. 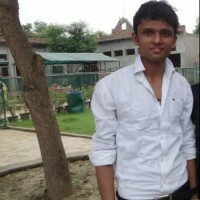 Sourabh Tiwari Here, pursuing BE from Chameli Devi Group of Institutions Indore. I'm passionate person. I have productive nature. Whenever you provide me a work, I'll provide you the appropriate solution within the work flow. I have completed my 10th and 12th from Kendriya Vidyalaya Dewas. Data Analytics and Visualisation is my key skills. From last 3 year, I developed statistical and analytical approach, work with the raw data. Currently, I have in enough proficiency. 4. Grap new skill easily. Their are some flaws or weakness because we are human being. 2. Work on agile development. 3. To be with passion. 5. Grab new thing/Study lot about new technology. First of all, thanks, for giving me a chance. My name is Shruti Mishra. I am from Lucknow living at Sitapur. I have completed my B-Tech in computer science stream with 72 % marks from Abdul Kalam technical university. About my family, there are five members in my family. My father Mr. T.N. Mishra he is an entrepreneur. My mother Ms.Neeru Mishra she is a teacher. I have two brothers and third is one. My strength is to do hard work, flexibility in work, integrity. I hate those people who do negligence to each other. My hobbies are gardening, reading, travelling, cooking. I want to become a good software engineer. First of all, I would like to thank for giving this opportunity to introduce my self. I am Sowjanya, I am from Khammam. I have completed my B-tech in Civil Engineering with the aggregate of 74%. I have done my academic projects are the construction of bituminous premix road and construction of slab Culvert. I completed the course on auto cad, and I'm quite good at it. About my family, they are four members. My father Sriramulu he is an entrepreneur, mother Padma she is a homemaker, we are two siblings, brother and me. My strengths are hardworking and self-motivated. About hobbies, drawing and I like to write anything about what I felt. I am a B-Tech graduate in Electronic and Communication Engineering as specialization from Mallareddy college of engineering and technology. My interests are, I love to take pictures of nature and I like to travel to different places (mention if any favourite). Talking to my achievements I was awarded 1st in QUIZ from JNTu-Hyderabad and I also awarded the 3rd prize in DRIFT RACING from IIT-Hyd. My role model is TANMAY BAKSHI who is 13 years old, at the age of 9 he started learning coding from his father who is an IOS developer, at the age of 9 he invented an Ios called T-Table which is running successfully now, at the age of 13 he is the member of IBM watson who works on artificial Intelligence and future automation, By looking at his profile I was so surprised at first, but later I realized age is just a number we have to believe in our self and do what we have to. My goal is to have good responsibilities and respect in an organization as well as my family. That's all about my self. Thank you for giving this opportunity. Thank you for reading my intro if any errors noticed please comment below and let me know :) . Firstly, I would like to thank you for giving me this opportunity and it's my pleasure to introduce my self. This is Narendrareddy I'm from Nandyal Kurnool Andhra Pradesh. I have completed M.Com post graduation from Dravidian University in Kuppam. I have completed my bachelor degree B.Com with CA from National Degree College from Nandyal Affliated with Rayalaseema Universirty. I have completed my 2 govt Jr College from Nandyal. I have done my schooling from ZP High School Santhajutur. Telling me about my family, my father is a farmer and my mother is a house maker and one elder sister including me. Coming to my hobbies are playing cricket, chess, caroms and surfing net. My short term goal is get placed in a reputed company, which will give me an opportunity to enhance my skills and knowledge. My long term goal would be reaching the higher position with my company. Thank you for giving such a wonderful opportunity. I think you went through my resume so as you know my name is Nithya. I am from Kerala. I have done B.Tech in the stream of Electronics and communication engineering. I recently moved to Bangalore with my husband. He is working in Oracle company as the financial analyst. After my graduation I decided to do job oriented course but unfortunately I can't because my parents are not willing to leave me outside my hometown, they gave preference to my secured married life. So I decided to go for GATE coaching institute which is in my hometown but while doing that course I got married so I dropped forcefully because he is from Bangalore so I can hunt job there why should I waste my year by doing master degree, after realizing that fact. After all good job is our aim. Also, I have done certification course in software testing from Testing Campus, Bangalore for 6 months. My strengths are hardworking and love to be punctual. My weakness is that I am little sensitive girl. My hobbies are drawing and I love to hear melody songs. That's all about myself thank you. I am Rohit from Gurgaon. I did my schooling in xyz and completed my UG in ABC engineering college. My hobbies are gardening, watching movies. Basically, I am a self-motivator and adaptable to any environment. My short term goal is to place in a highly reputed company like yours. And my long term goal is to get a higher position in the same company. Coming to my family, my father is a Businessman and my mom is a homemaker and I have one sibling. My favourite quote is "Never stop believing in hope because miracle may happen".